The field of water and wastewater treatment is ever-changing and the demands for qualified personnel continues as this field changes and expands. As a water treatment plant operator, you'll be responsible for the operation and maintenance of water treatment facilities and/or water distribution systems. You will be responsible for delivering safe drinking water to a multitude of people. No career is more important to our nation's quality of life, recreation and environmental health, and safety than that of caring for our water quality. You might choose this career area if you are interested in working hands-on, to help manage water resources to provide water that is safe for consumers to use, and waste water that is safe to return to the environment. You will control the processes and equipment that remove solid materials, microorganisms, and chemical compounds from water, and operate and maintain treatment facility pumps, pipes, valves, and other processing equipment that moves the water through the treatment processes. Characteristics of professionals in this industry include caring deeply about accuracy and attention to detail. A technician's work is important to the protection of human life and safety. 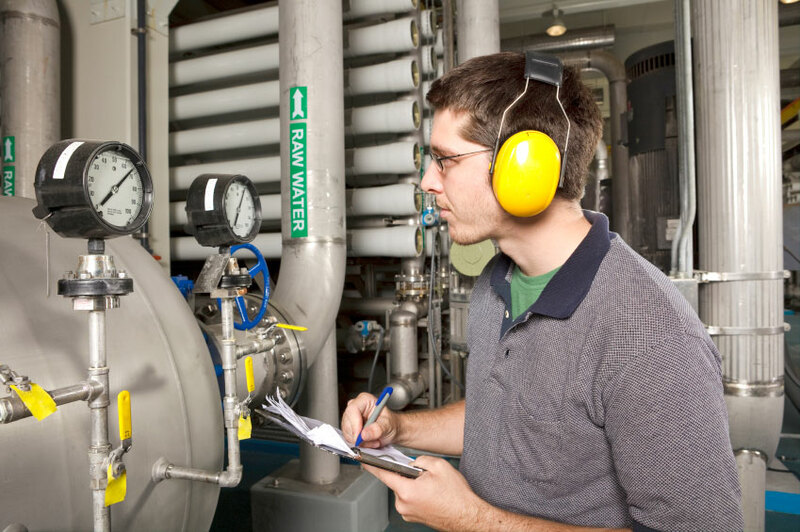 There are numerous industry certifications for water and wastewater treatment. Many employers require certifications to perform certain work. Not all certifications are required for employment; but do serve to make a candidate more desirable in the job market. Water distribution - There are five levels of certifications from D1 to D5 offered by the California Department of Public Health. Water treatment - There are five levels of certifications from T1 to T5 offered by the California Department of Public Health. Wastewater collection - There are four levels of certification in collection systems maintenance offered by the State Water Resources Control Board. Water conservation - There are two levels of certification offered by the American Water Works Association. Imperial Valley College maintains faculty-approved formal course articulation agreements with Imperial Valley high schools and the Imperial Valley ROP (Regional Occupation Program). Courses with articulation agreements follow the California Career Statewide Pathways Templates in the areas of: Administration of Justice, Allied Health Programs, Business, Automotive Technology, Building Construction Technology, Child Development, Computer Information Systems, Health Assistant and Welding. Students who complete an articulated class offered through a partnering high school or ROP program, receive a qualifying grade in their course, and pass the IVC Credit-by-Exam for the subject area, will be eligible to receive college credit for the articulated corresponding Imperial Valley College class posted to their official transcript. Eligible students will work with the Applied Sciences Office at IVC for the awarding of college credit. For specific articulation agreements please contact the Applied Sciences Office or the IVC Articulation Officer. Imperial Valley College does not promote nor endorse these web sites. They are provided for your reference and convenience only.